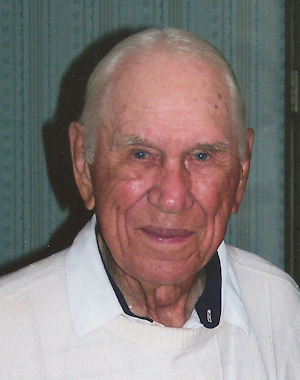 Obituary – Taylor, Glen McMillen « Perry High School Alumni Association, Inc.
Glen McMillen Taylor passed in his sleep during the early morning hours of July 24th. Born September 9, 1914, on a farm outside Lucien, Oklahoma, he was nearly 97 at the time of his passing. Glen was preceded in death by his parents, Eugene and Ollie Mae; his wife, Marjory; siblings, Irene, Joe, Gene, and Francis; and son-in-law, Gene Camp. He is survived by his sister, Marie Rhodes; daughters, Betty Colvin and Mary Miller; son-in-law, Clay Colvin; granddaughters, Jeannie Camp and Erin Miller; grandson, Clay Miller; and a large extended family. At 13 years of age, Glen traveled throughout rural Oklahoma working the harvest fields and sleeping under the stars on a bed of hay. At age 15, during the Great Depression, he traveled with his father to find work at a relative’s gas station. Several years later, Glen began hitchhiking from his home in Perry into Stillwater to attend Oklahoma A&M. Shortly thereafter, Glen married the love of his life, Marjory Barnett. When Marjory was one month pregnant with their first child, Pearl Harbor was bombed and Glen was drafted into the Army at age 28. He served at Fort Knox, Kentucky, during World War II. After the war, he worked for the Sohio Oil Company and later as a driver for Medical Arts. Quick with a joke and a kind word, Glen made friends with practically everyone he met. He was known throughout the city as a starter and former marshal at Hefner Golf Course where he worked for 28 years during his retirement. The golf course was the place Glen loved most in the world. His friends and co-workers at the clubhouse became his extended family circle, and he cherished the friendships and memories he shared with them over the decades. A consummate gentleman, eternal optimist, jokester, negotiator, and selfless friend, Glen was a rare, pure soul. The world will sorely miss his gentleness, joyfulness, generosity, wry wit and easy smile. Services will be held on Thurs., July 28th, at 9am, at the Smith & Kernke Chapel, 14624 N. May in OKC. Viewing will be held for friends and acquaintances on Wed., July 27th, from 4-8pm.